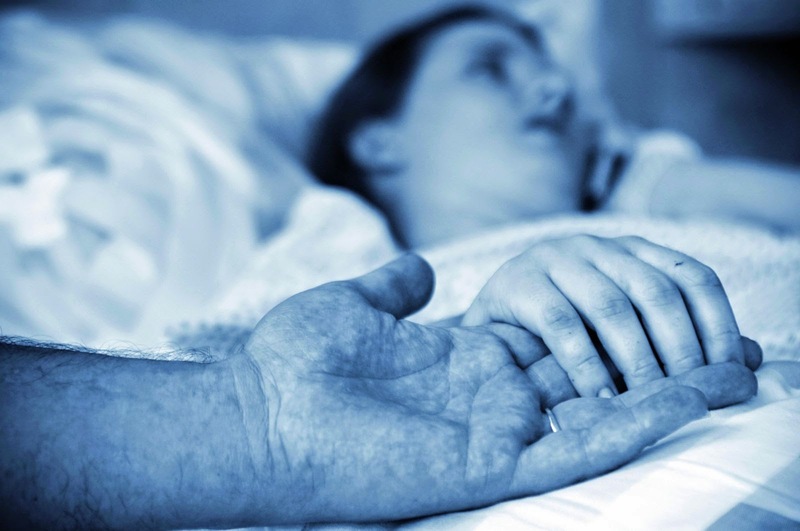 ﻿While the diagnosis of an impending death is always sad, it can be important for patients, families, and clinicians as they make decisions related to hospital discharge, hospice referral, and treatments. Now a new study published in the journal Cancer has revealed eight highly specific physical signs associated with death within three days in cancer patients. When a patient has entered the final days of life, it makes sense to stop daily bloodwork and potentially futile medications, and to focus on comfort care. Knowing whether the patient is imminently dying can also inform many personal decisions for family caregivers, such as whether a wife wants to stay overnight in the hospital and whether a son still has time to fly in to see his father. Unfortunately, very few studies have examined the signs of impending death, making it difficult for healthcare professionals to make a diagnosis with confidence and to communicate this with the family. To address this, researchers recorded the physical changes in the final days of life in 357 cancer patients. The investigators systematically documented 52 physical signs every 12 hours from admission to death or discharge. During the study, 57 percent of the patients died. The researchers identified eight bedside physical signs that, if present, strongly suggest that a patient will die within three days. The signs include non-reactive pupils, decreased response to verbal stimuli, decreased response to visual stimuli, inability to close eyelids, drooping of the nasolabial fold (which makes the face appear more relaxed), hyperextension of the neck (in which the head tilts back when the patient is lying down), grunting of vocal cords, and upper gastrointestinal bleed. These signs may help doctors and nurses to make the diagnosis of impending death. Based on the findings, the researchers are now creating educational materials to help healthcare professionals and families recognize when a patient has entered the final days of life, and they are developing a diagnostic tool of impending death based on these physical signs to support clinical decision making. While the findings are relevant for clinicians who care for dying cancer patients, it's unclear whether they also translate outside of cancer centers. Therefore, the investigators are in the process of validating their results in other healthcare settings, such as home and inpatient hospice.